Modern carbon bikes aren't for everyone, and after many years of cycling I still haven't bought one for myself. Put simply, I don't want one. 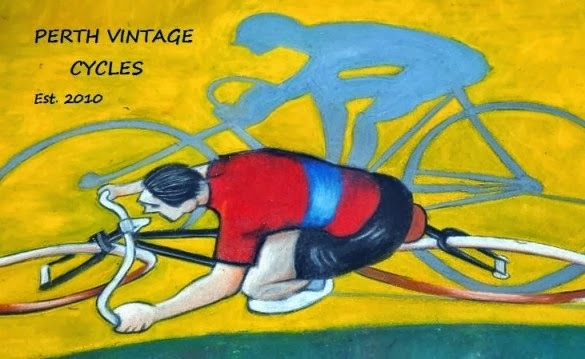 Steel bikes appeal to me for many reasons, and they are becoming more and more popular with all types of cyclists as interest in vintage cycling returns. 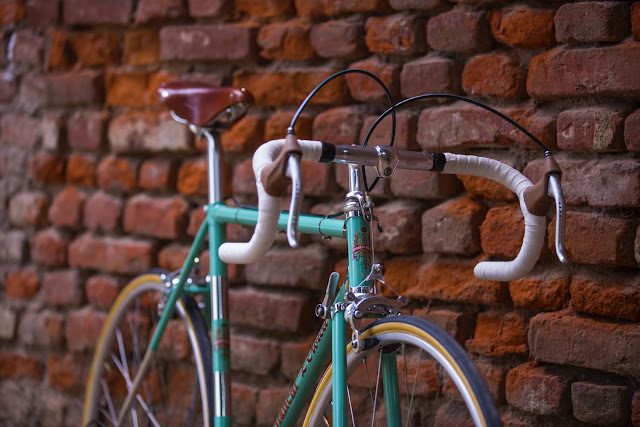 Bicycle manufacturers are more frequently reintroducing steel bikes to their ranges as the popularity of steel increases. 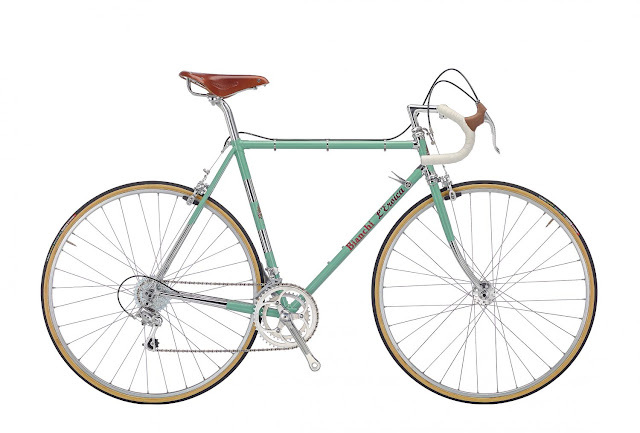 In response to the growth in popularity of steel Italian brand 'Bianchi' bicycles have released a new steel framed bike that reflects all that is vintage, all that is cool, and all that is desireable. Bianchi's clever marketing strategy has linked their new release to a vintage cycling event called 'L'Eroica'. There are currently five L'Eroica cycling events worldwide that are designed to appeal to vintage cyclists. In fact Bianchi is an official sponsor of the L'Eroica phenomenon. All L'Eroica events have similar rules that determine what type of vintage bicycles can participate in the ride. 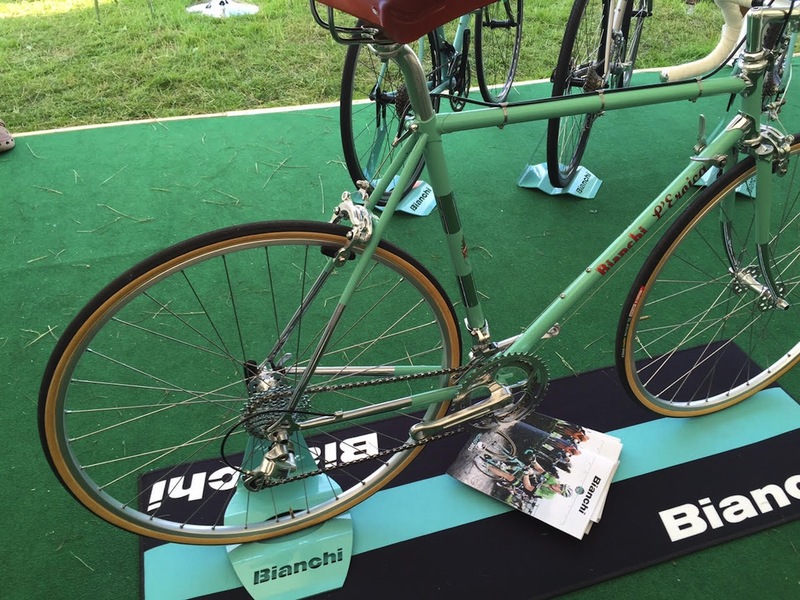 Bianchi's 'new' vintage bicycle is called the Bianchi L'Eroica, and it's been approved to be ridden in these events. The gearing for this build uses Campagnolo front and rear derailleurs (2 x 10 speed) with a Campganolo chain and rear cluster. The rest of the kit is Dia-Compe (nice but not Italian!). 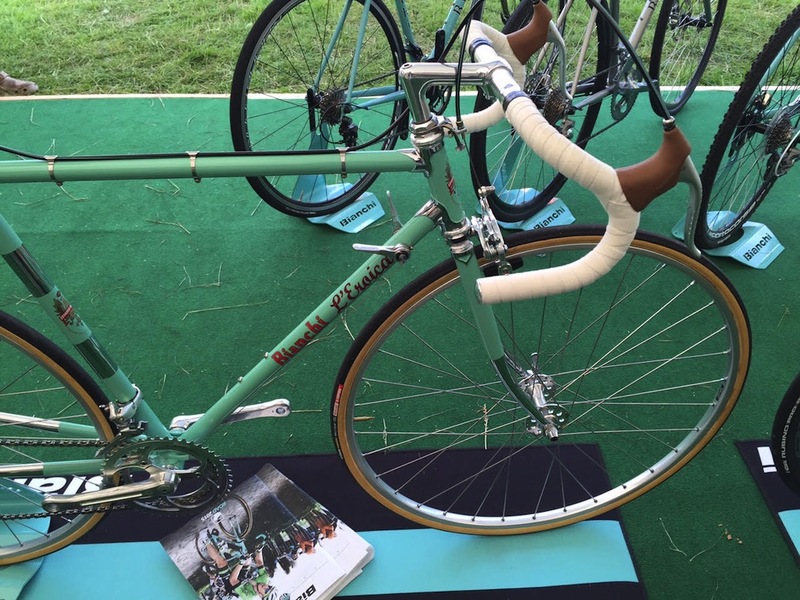 The Brooks Team Pro classic saddle is also a winner! 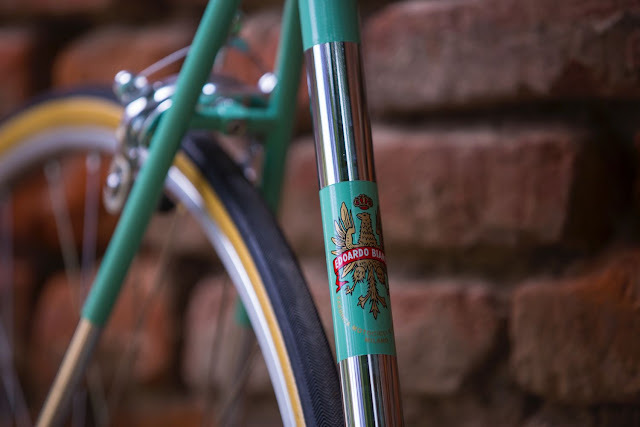 The frame is very traditional with a 1 inch threaded fork, chromed lugs, a chromed fork crown, chromed forward facing rear dropouts, and the rear brake cable is held onto the top tube by traditional cable clamps. 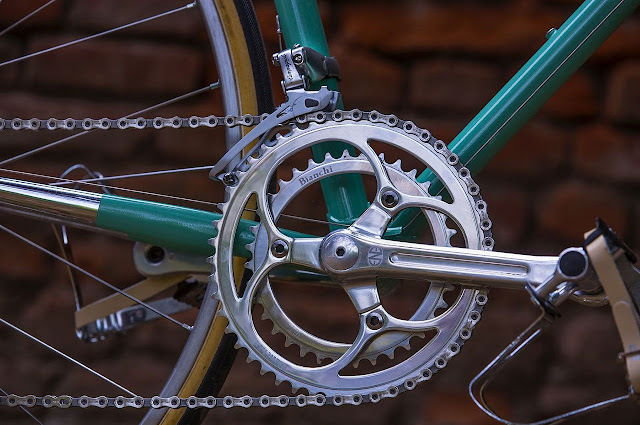 Have a look at the crankset below, very nice indeed! Here are some more images from a recent bike event. The centre pull brakes are interesting, not quite my thing although they are period correct and do allow for a wider tyre when riding those limestones roads during a L'Eroica event. 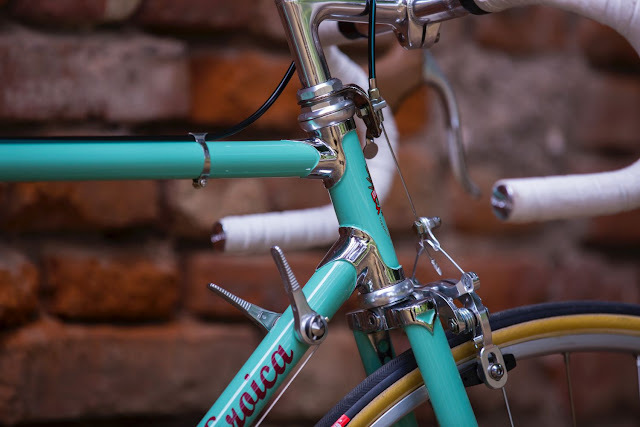 The centre pulls are Dia-Compe 610's (with a drop of 47 - 61 mm), it's a pity Campagnolo don't make a vintage brake set and cranks to compliment the gears. 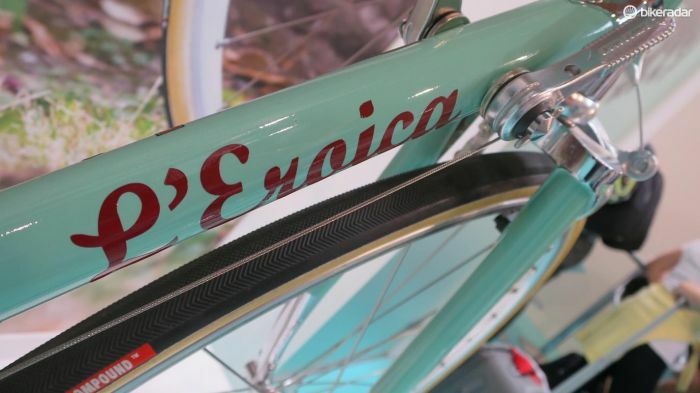 Well done Bianchi, great work! It is not surprising for manufacturers to produce new items that are high in demand in current markets. However, the ones at the losing end are eventually the enthusiasts of the old models. I guess when you really love something, it is advisable to keep a prototype of it in storage so that you can continue to admire if even when its model has ceased production.